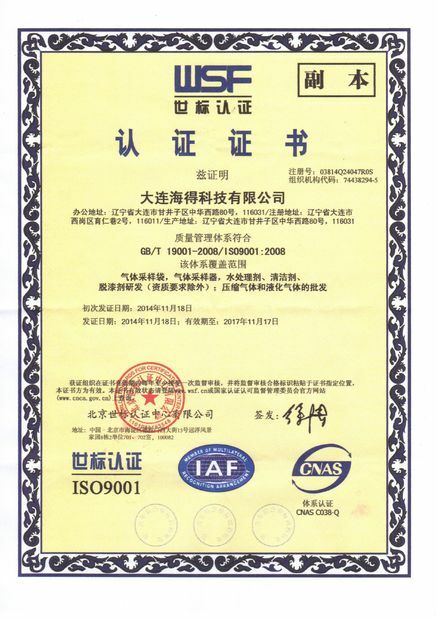 Fluode polyfluo-film is developed by our company Dalian Hede technologies for gas sampling bags. The materials of making Fluode polyfluo film are supplied by a renowned fluoroproducts manuafacturer. Fluode is a kind of unique polyfluoro-film with excellent chemical stability and superb physical property. The aggregate form of fluorine atoms in Fluode polymer is similar to that of polyvinyl fluoride such as Tedlar,elasticity modulus and stiffiness is also close to PVF,but elongation at break increase,which shows up impact resistance performance of Fluode film,that is Fluode film is more tenacious and not susceptible to fracture.. 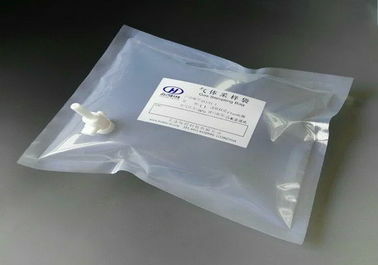 However Fluode has greater f-atom content in CC bond than other fluoro polymers, so the chemical property and physical property of Fluode are improved significantly.Fluode possesses excellent inertness, low permeability low absorptivity and high strength. 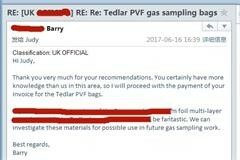 Fluode gas sampling bags are suitable for low concentration analysis and VOCs assessment. 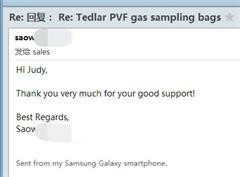 It is excellent substitute of Tedlar bags.The heat-resistance temperature of Fluode fluorine polymer is 150℃～170℃,easy to heat binding sealed,which is very conductive to being producted gas sampling bags,and Fluode gas sampling bag will be developed into new gas sampling bags industry standards. 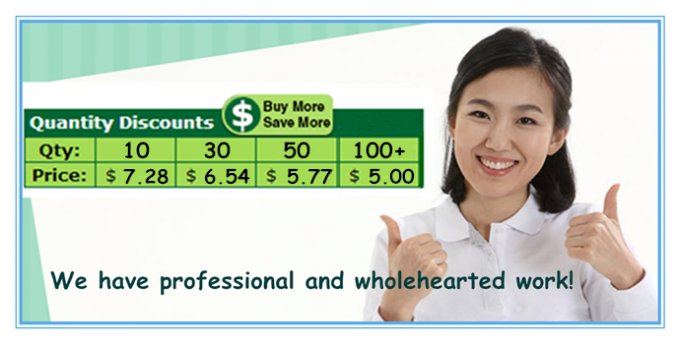 Sizes:0.5L,1L,2L,3L,4L,5L,8L,10L,15L,20L,30L,and 40L～6000L or customized size. Fluode gas sampling bags can be used in high precision of PPM and PPB level sample analysis,can sample and save all kinds of highly corrosive and chemical activegaseous,liquid samples.